Last year I introduced the ShrineDog Awards to the FishDuck public in an article here. This year, the ShrineDog is back with fresh faces that will make you laugh, cry, or simply scratch your head. Choosing the wrong university is almost like hanging yourself. Each year I look at the recruiting classes after all letters of intent have been faxed in to their designated universities. Most of the time, each school hits its mark and signs a very well-rounded class with athletes at most of the positions of need on the roster. On occasion, however, my eyebrow will raise due to the craziness that is the the final days leading up to National Signing Day — the first Wednesday of February. One could easily question why a certain prospect decides — at the last minute — to commit to a school that is stacked with depth at his position, or lacks a great need at the position but is far from the player’s home. Whatever the case, some high school kids just don’t get it. They decide either that football is not that important, or they happen to follow some really bad advice from someone who does not know any better. Usually the recruit’s last-minute decision is good for a sudden chuckle, but it is always good for a serious ShrineDog consideration. I’ve created a list that is neither set in stone nor perfectly accurate; however, I would like to break this up into parts to thoroughly explain why I have selected the individual to represent the ShrineDogs of America. The first ShrineDog winner I want to announce may be obvious to my readers – as he made a last-minute de-commitment from Oregon in favor of a school closer to home. Yes, those who follow Oregon recruiting closely know exactly who I’m talking about: none other than the 3-star defensive back from Texas, James “P.J.” Locke. PJ Locke had a great future with the Ducks until he flipped to Texas. Locke was a solid verbal commitment to Oregon for a long time. Roughly a week before signing day, he received an offer from the University of Texas and his commitment quickly became tenuous. 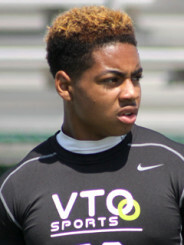 Rumors immediately flew that Locke was going to spurn the Ducks and commit to the Longhorns. 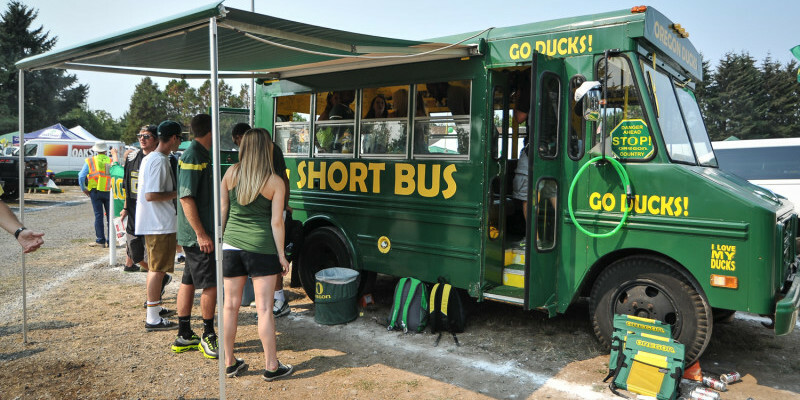 Despite the rumors Locke told Duck fans that he remained true to Oregon. Signing day came and apparently Locke lost the fax number to a certain athletic department in Eugene, as he instead faxed his letter of intent to Austin, Texas. By this time, the turn of events was not much of a shocker to the Ducks. Oregon fans saw the writing on the wall and were already justifying Locke’s decision by claiming he wasn’t needed anyway. To those who do not follow closely the world of college football recruiting, Locke’s commitment may seem like a slam dunk for Texas. After all, it seems no surprise that the preeminent university in Texas would reel in an in-state prospect during the final hour. But when you dig deeper into the specifics of Locke’s situation, his is not the tried-and-true success story of a high school athlete attending his childhood dream school. Let’s look at Locke’s competition at the cornerback position on the Texas roster. In 2013, Texas pulled the No. 2 cornerback in Texas, 4-star Antwuan Davis. According to Scout.com, Davis was the No. 14 cornerback in the nation. The following year, the Longhorns were able to bring in only the No. 92 overall cornerback in 2014, leaving a bit of a gap on the roster. Although not a top recruit, Jermaine Roberts still has a year of experience in the Texas defense on Locke. The kicker, however, is the 2015 class the Longhorns assembled. Before Locke flipped his commitment, three other cornerbacks were already committed to Texas. And they are no slouches. Per Scout. com, Locke was the No. 77 overall cornerback for 2015. Davonte Davis was No. 28 overall, and is the worst of the other three Locke would be competing with. The other two are ranked in the top 60 of scout.com’s 2015 “Scout 300” rankings. Kris Boyd, the No. 8 overall cornerback, and Holton Hill, the 9th-rated cornerback in the nation, both have the skills to quickly take over in the defensive backfield in Austin. This puts Locke pretty low on the depth chart. 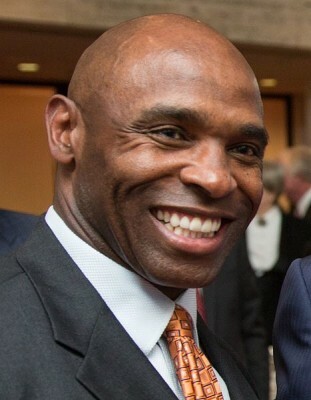 Charlie Strong is the head coach that lured Locke away from Oregon. If Locke plays safety, the competition does not get easier. Texas boasts at least six other safeties with more experience. In addition, the Longhorns signed one other safety in Locke’s class. DeShon Elliott is a 4-star safety that 247sports.com composite rankings placed 30 spots higher at his position than Locke. Ouch! Meanwhile, the top three safeties for 2016 all hail from the Lone Star State. This may put Locke in transfer mode, wishing he had stuck with his original commitment to the Ducks. Thank you, PJ Locke, for avoiding some good competition at Oregon, a school that just played for the national title. Instead, you chose a school that repeatedly underachieves despite solid recruiting. The Longhorns were a mere 6-7 last season and lost in the Advocare V100 Texas Bowl. On top of that, you put yourself into a nearly impossible chance to crack the depth chart. In short, you made the first 2015 ShrineDog Award an easy selection.